Uh oh, poor little Roger Goodell is upset because someone made fun of him. 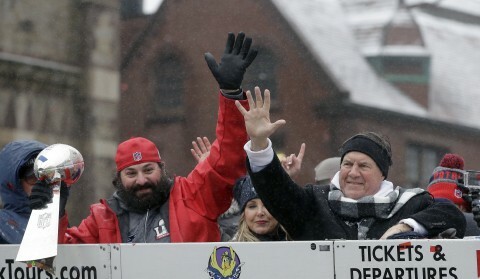 The whiny, petulant child NFL commissioner is apparently ticked off at Patriots defensive coordinator Matt Patricia for wearing a shirt that mocks Goodell, and he's also upset that Robert Kraft took a subtle shot at him during his post-game speech at Super Bowl LI. "The T-shirt really bothered him," according to one ownership source who had been in contact with big wigs at the league office. "The fact that Kraft didn't stop him from wearing that ticked some people off, but did they really think he's going to protect Goodell after all of this?" I didn't know it was Kraft's job to police what his employees wear, but oh well. League employees were also upset with Kraft calling New England's victory in Super Bowl LI "the sweetest," insinuating that the win felt so good because of all the nonsense that came from Deflategate. It is also believed that the relationship between the Patriots and Goodell will not be fixed until Jeff Pash is gone. You may remember Pash was one of the league executives who spearheaded the scandal. I'm sure Goodell could find some way to fine Patricia or the Patriots for the shirt if he really wanted, since the CBA gives him infinite power. He'd probably argue that it ruins the integrity of the game. 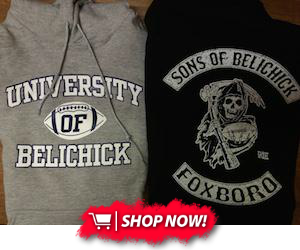 Want to show off your hatred for Goodell? Click here to order one of our "This One's For You Roger" t-shirts!